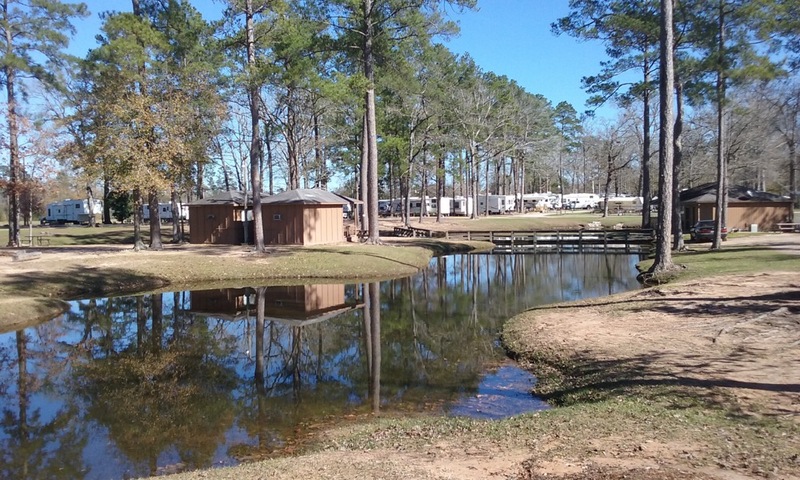 Country Place RV Park is located in Eastern Texas about 40 miles North of Houston. Situated on 40 beautiful acres, this family owned and operated RV park offers quiet getaway in a gorgeous country setting. Campers looking for excellent outdoor recreation won’t have to travel from the campground to find it. Sam Houston National Forest, Lake Conroe, and Lake Livingston State Park are all located a short drive from the park. This is a family-friendly campground and pets are welcome to come along for the adventure. Campers have their choice of tent sites or spacious full hookup RV sites. Both back-in and pull-thru RV sites are available and all campsites include fire pits and picnic tables. Tent campers have access to water and electric if they choose. 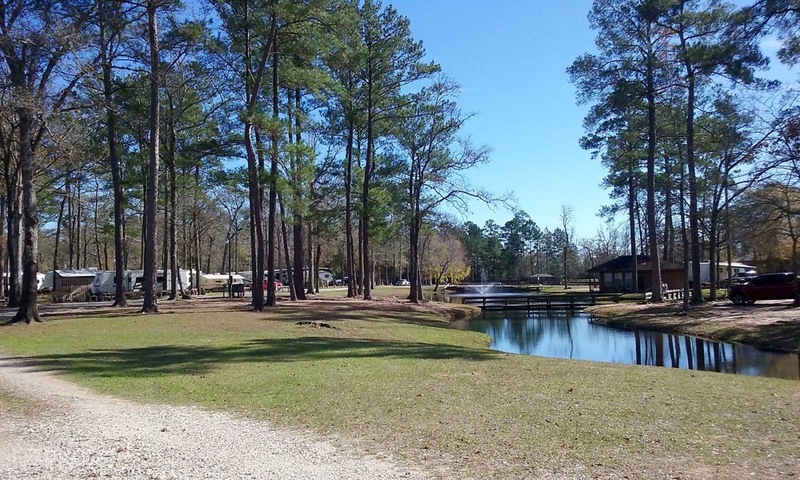 All guests at Country Place RV Park have access to fishing ponds, WiFi, a pool, game room, BBQ facilities, laundry, a convenience store, excellent bird watching, an off-leash dog area, and outdoor games. The Sam Houston National Forest boasts 163,000-acres of wilderness ideal for hiking, fishing, biking, horse riding, hunting, water activities, and OHV riding. Visitors who are up for a little exploring will discover waterfalls, wildlife, pristine wilderness, and amazing scenery. Lake Livingston State Park is the perfect place for families to hike, boat, swim, bird, fish, mountain bike, geocache, and picnic. If you are looking for more boating opportunities, Lake Conroe is only 15 miles from Country Place RV Park. 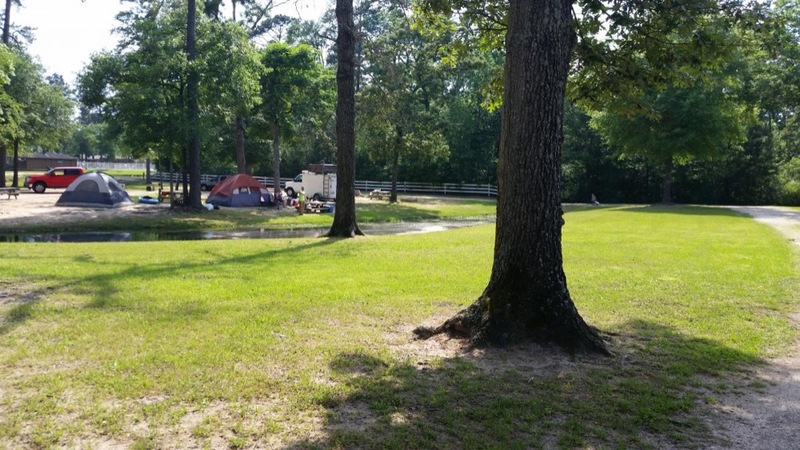 Looking for a camping getaway in Eastern Texas with a country feel? 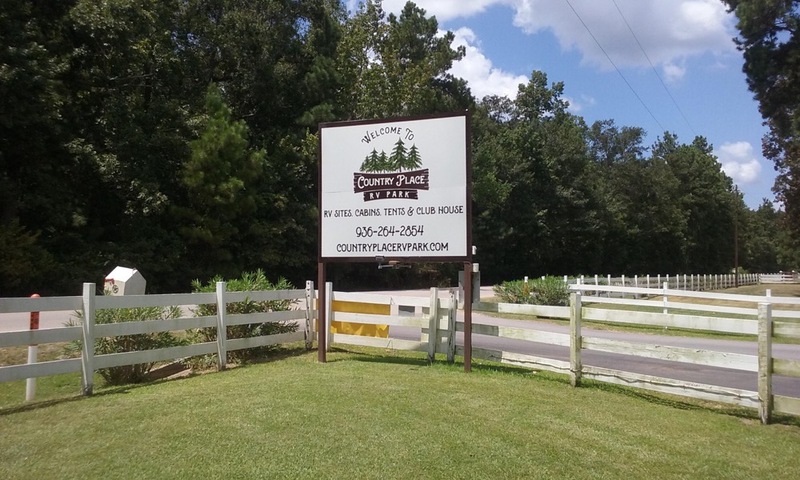 Look no further than Country Place RV Park! Spacious RV sites, great amenities, and nearby outdoor attractions make this a fantastic destination for a weekend escape or a week-long family vacation. Book your stay today on Camp Native!